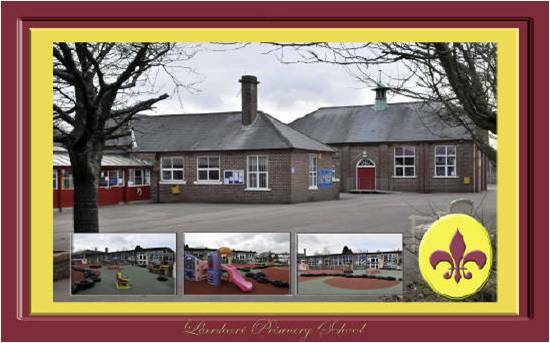 Llanhari Primary School - "Together we care, share and achieve"
Welcome to Llanhari Primary's website. 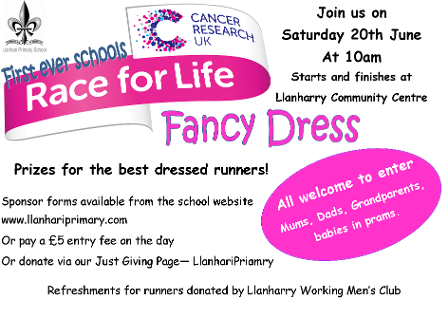 We hope the site will benefit children, parents and the community. Follow the links on the tool bar to find all the information you need. Keep up to date with events in the school calendar or school blog. Read and download school policies and documents. Meet the staff and governors of Llanhari Primary. Find out what the children are doing in their class websites, read their blogs and view photos and videos uploaded by the children themselves. We are looking to review parental engagement at our school. 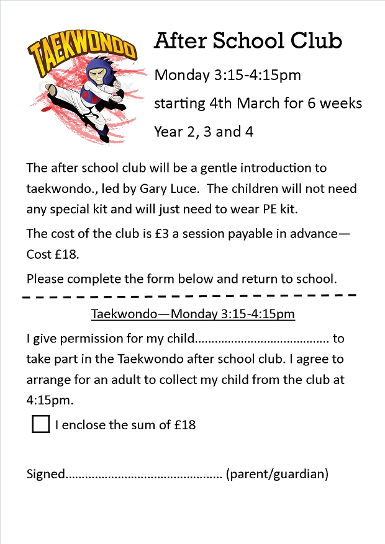 The school can access a range of activities and we would like to know which ones would interest you the most. All parents have received the summary report. 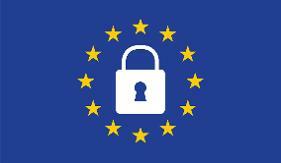 Please find a copy of the full report here. 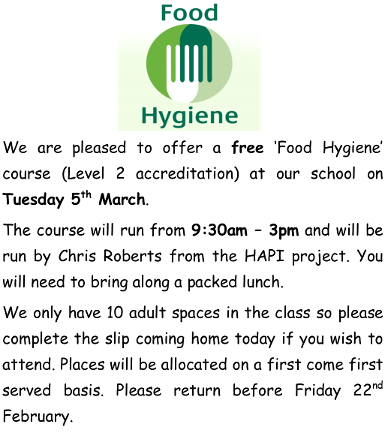 on line - no cash payments will be taken in the office. highest Eco-Flag status - PLATINUM! 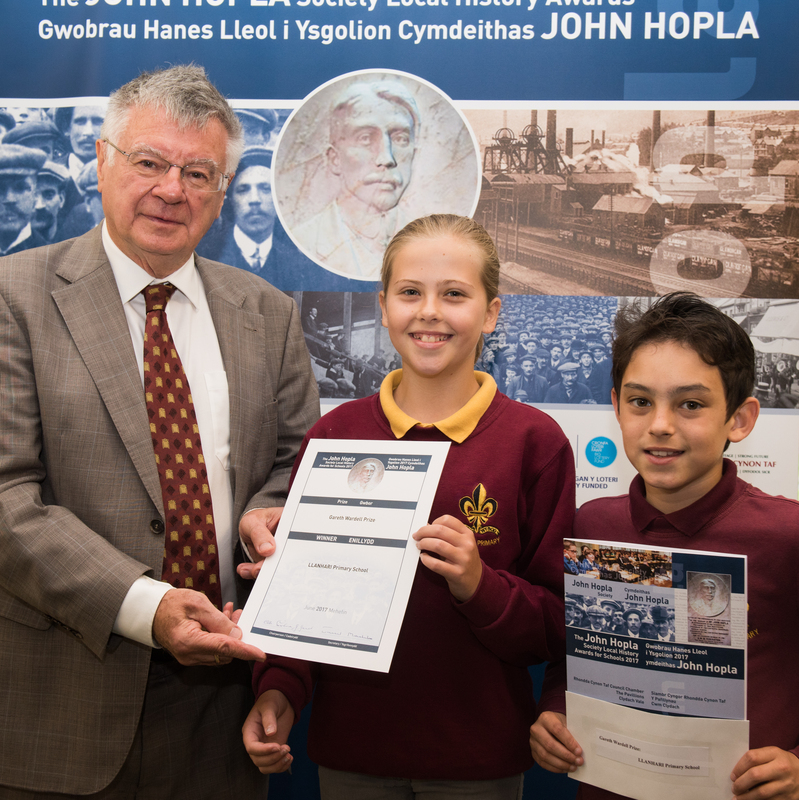 We received an award from the John Hoppla society for our project work on the history of Llanhari over the past 80 years. The whole school worked on the project entitled 'Happy Birthday Mr Francis' and had to present their work to visiting assessors. Scott and Devon represented the school at the Council Chambers in Clydach. We all enjoyed our history project about Llanharry over the past 80 years. Mr Francis helped us with our research and we celebrated his birthday in style! 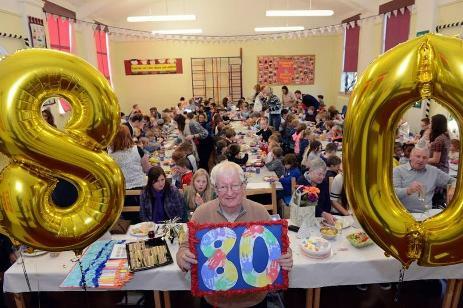 Our celebrations were published online and were in the newspaper. 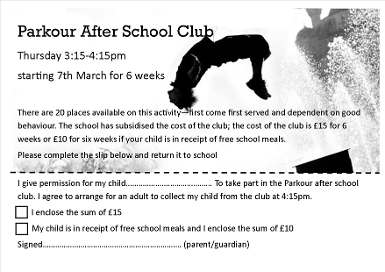 We are pleased to announce our new partnership with 'Simply out of school', a provider of after school care. 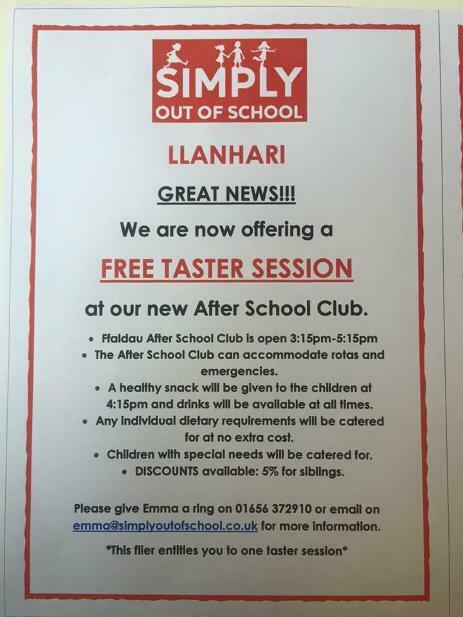 'Simply out of school' run a number of successful clubs in the area and will be opening at Llanhari Primary on May 9th. Mrs Coates, Mrs Chadwick and Mrs Shipman made a presentation of the school's work at Cardiff University for the Catch Up National Conference. 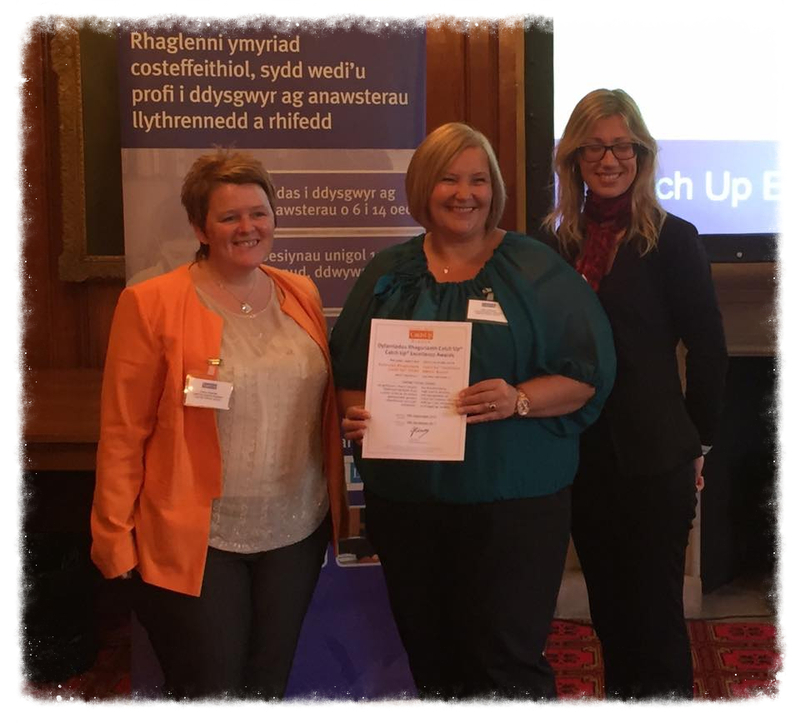 We were also presented with our Catch Up Excellence Award by Claire Rowlands, Deputy Director, Curriculum Division, Welsh Government. Well done everyone. 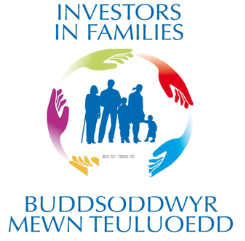 We have been awarded 'Investors in Families' status because of our fantastic parents and their involvement in the school. This week were were awarded a 'Catch Up Excellence Award' for our literacy intervention project by the national 'Catch Up' organisation. Catch Up is a one-to-one reading intervention that is delivered by Mrs Shipman, Mrs Chadwick and Mrs Morris. Lots of our children have benefited from this program and it has made a key contribution to our 40% improvement in reading results in the last 2 years. Well done everyone. 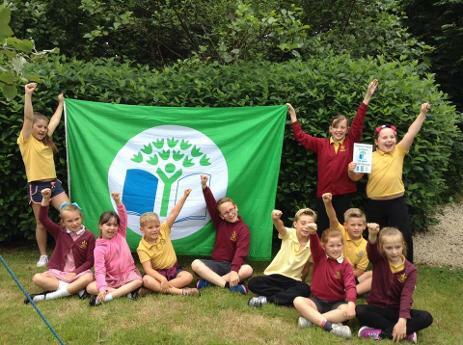 We have been awarded our 3rd 'Green Flag' for the environment and our 4th 'Healthy Schools leaf' on the same day! Well done to our fantastic Eco-Council and Mrs Roderick for their hard work. 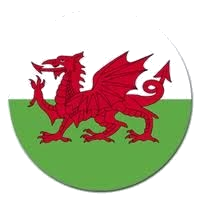 who has won Dai Ddraig this week? 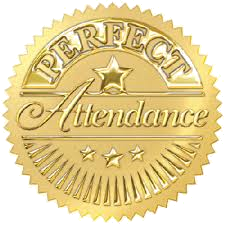 Our school provides a safe, secure environment where pupils encounter opportunity for success in learning and living. 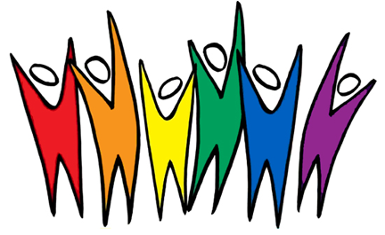 Valued as an individual regardless of race, religion, gender or disability, each pupil is positively encouraged to contribute to the total of the school community. At Llanhari pupils will be encouraged to make the most of their talents, to develop their personality and grow both morally and spiritually. The education pupils receive will serve to foster discipline and high personal standards achieved in a positive, caring atmosphere, which permeates everything the pupil encounters in school. 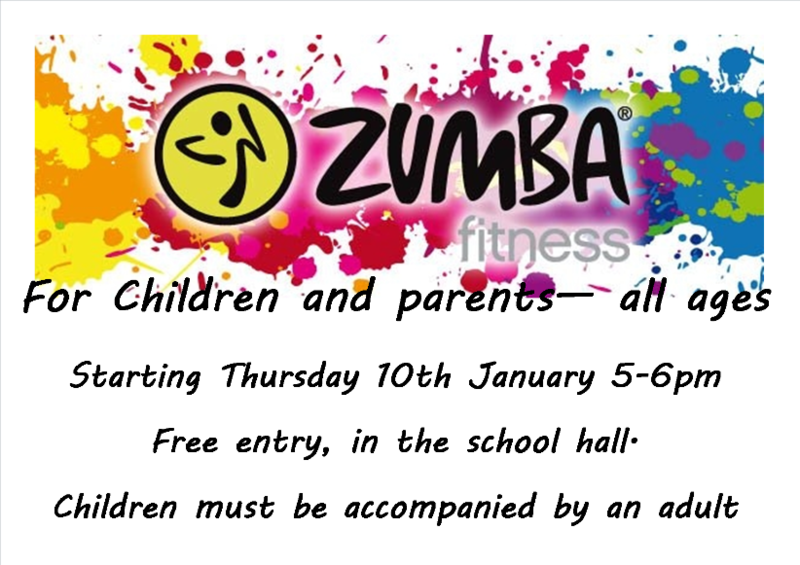 Pupils are encouraged to develop self -esteem and self confidence through a range of extra curriculum activities. 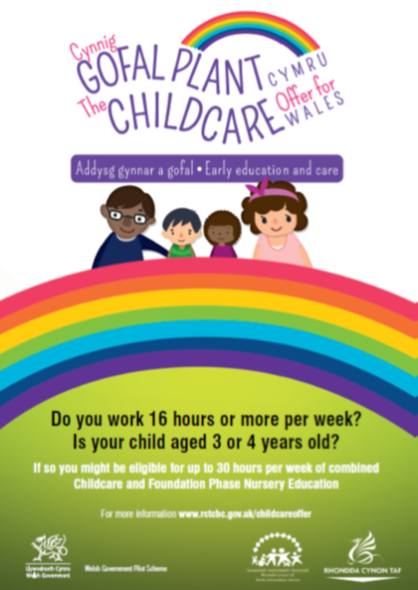 At Llanhari we are committed to valuing and building on the child's earliest experiences, however limited. A positive, mutually supportive relationship between home and school is valued. Through a well established pastoral framework pupils are encouraged to develop happily with a sense of value and purpose. To develop a warm caring secure environment which encourages each pupil to recognise their value both as an individual and a member of the school community. Each child is encouraged to develop his / her fullest potential in a happy, caring, stimulating atmosphere. Understand the world in which we live, groups and nations and appreciate human achievement. Develop respect for religion and cultures.